Hey, music entrepreneur. In this article, via T. Perry Bowers, you’ll learn what you need to bring to each and every gig you play. If you think you have something worth sharing with The Music Entrepreneur HQ community, check out our guest post guidelines. 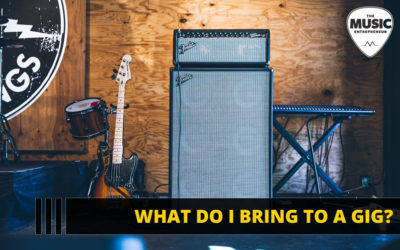 Now, without further delay, let’s learn what gear you need to … Continue reading What do I Bring to a Gig?